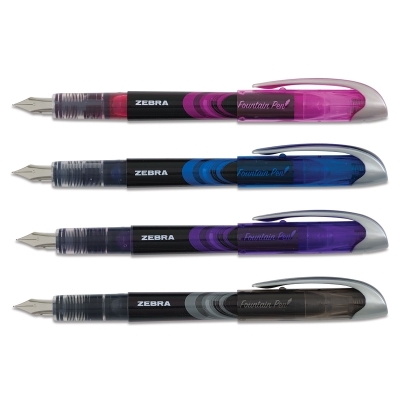 Take control of your writing experience with the Zebra Zensations Fountain Pen. 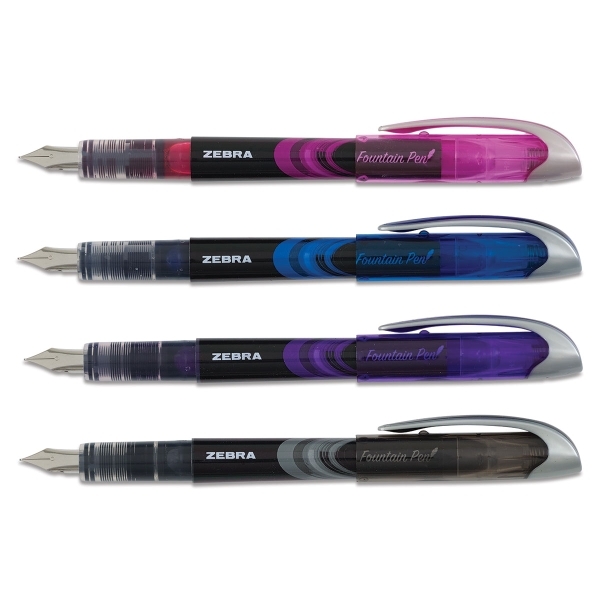 These fine point 0.6 mm fountain pens have an innovative, efficient ink system that uses every drop of ink. There are no cartridges to refill. 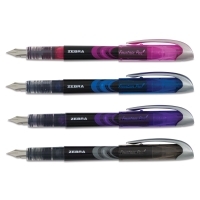 Includes one each of Black, Blue, Pink, and Purple. 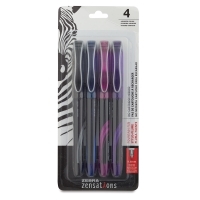 ® Zebra is a registered trademark.™ Zensations is a trademark.